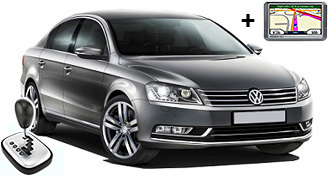 Our car fleet is the biggest in Bulgaria with more than 1200 brand new cars. We offer cars from different classes and various sizes, engines and gearbox types. 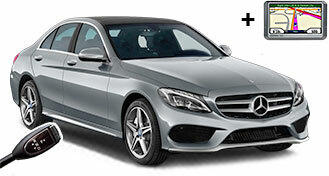 We offer economy, compact, standard, full-size, station wagon, minivan, minibus, SUV and premium, luxury and cargo van cars. 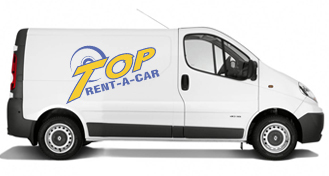 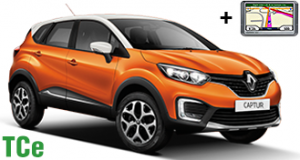 Top Rent A Car takes care for the perfect service and individual approach to every single customer offering highest quality car rental service! You will find various cars and cargo vans for rent with fast service, trained staff, new cars combined with quality service at best prices. 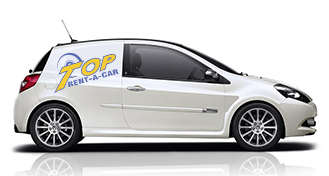 All rental cars from our car fleet are in perfect technical condition – regularly inspected. 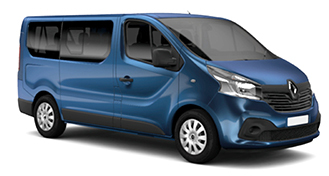 You can choose some of our additional extras as well as Full Protection, 3G Wi-Fi, GPS navigation, additional drivers and many others. 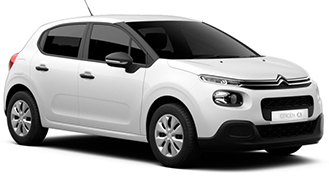 The best car rental offers are on our website! 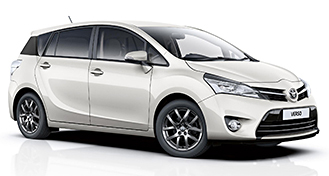 Economy car class is one of the most preferred because of the comfortable sizes and fuel efficiency of the vehicles as well as the best rental prices. 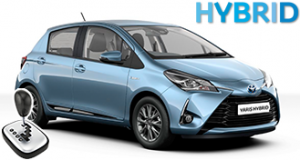 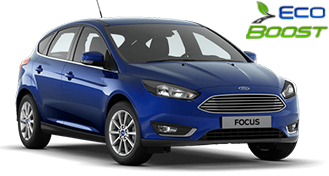 We offer some of the most popular and liked models from Economy class as Citroen C3, Ford Fiesta, VW Polo, Renault Clio IV GrandTour and the top hit models with super fuel efficient engines – Ford Focus EcoBoost and Toyota Yaris Hybrid both with automatic transmission. 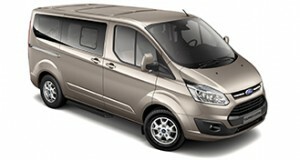 We offer diversity of compact class vehicles at best prices. 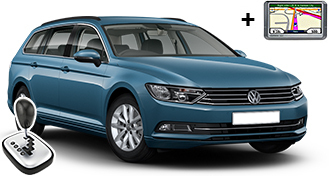 Our cars from this class are from the top manufacturers as VW, Toyota and Renault. 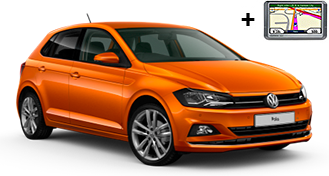 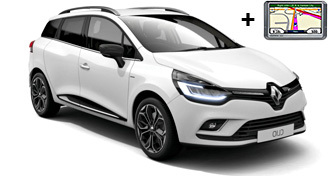 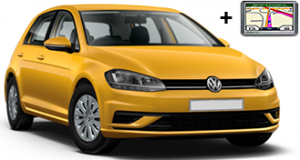 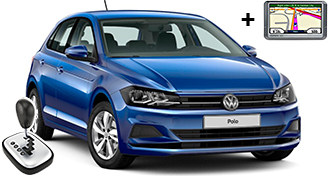 You can choose between the latest models of VW Golf, Renault Captur TCe, Toyota Corolla automatic and VW Passat aut. 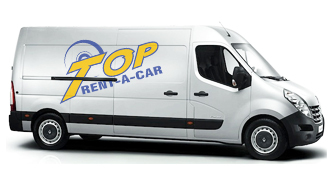 Highest quality guaranteed! We offer larger estate vehicles for rent which are the best option for bigger families and companies. They can easily fit more luggage and comfortable transporting all your friends. 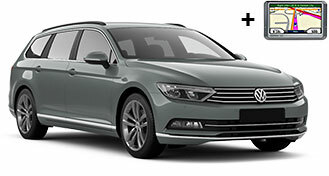 The cars offered from this class are VW Passat Estate and VW Passat Estate automatic. 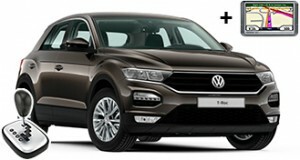 SUV class is one of the most reliable choices by the customers. The cars from SUV class are excellent for all road types and conditions during all seasons. We offer for rent Nissan Qashqai automatic, VW Touareg and the brand new VW Touareg 2019. Premium class is for those who want to be always noticed while driving with style. 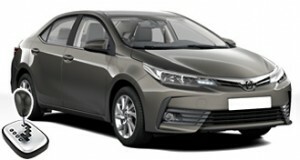 The cars are last models from one of the leading premium manufacturers in the world. 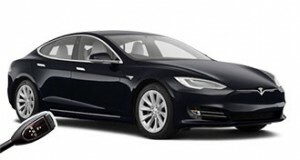 The cars for hire from premium class are: Mercedes-Benz C220 9 G Tronic and Tesla Models S.
Top Rent A Car offers various sizes cargo van vehicles for rent at best prices. 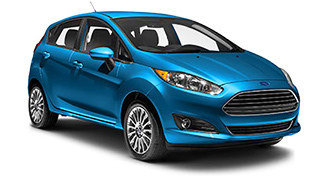 The cars from this category are very useful for transporting a heavy loads with high volume. 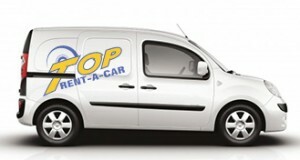 Available cargo vans for hire are Renault Clio Cargo, Renault Kangoo, Renault Trafic, Renault Master.